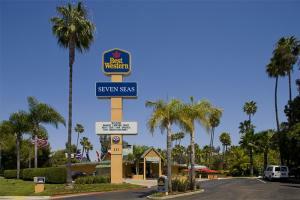 The Best Western Seven Seas is centrally located in San Diego's Mission Valley. The hotel is well situated to beautiful California beaches as well as a variety of world class shops and restaurants. The friendly staff and attentive service will ensure an enjoyable stay.